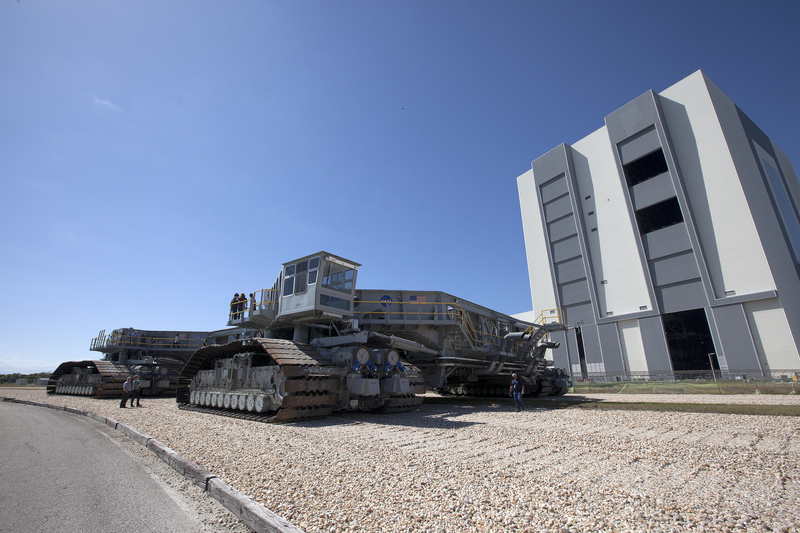 NASA’s crawler-transporter 2 (CT-2) began its trek March 22 from the Vehicle Assembly Building (VAB) to Launch Pad 39B at the agency’s Kennedy Space Center in Florida to test recently completed upgrades and modifications to support NASA’s journey to Mars. CT-2 moved along the crawlerway at no more than one mile per hour and will complete its journey to the pad after numerous scheduled stops along the way to verify the operation of the completed upgrades. The crawler will carry the mobile launcher with Orion atop the SLS rocket to Pad 39B for Exploration Mission-1.